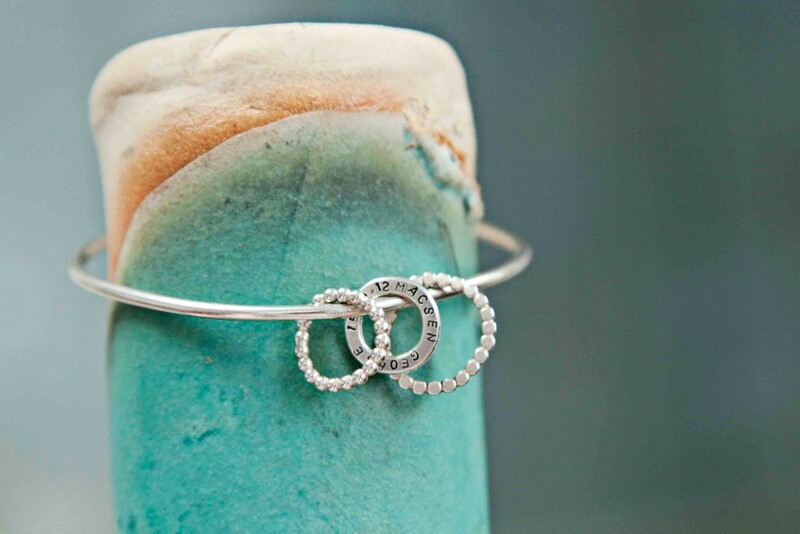 A handmade sterling silver bangle featuring 3 textured hoops. 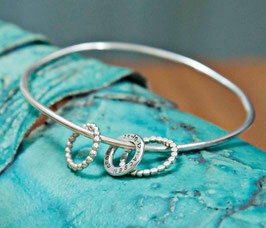 Personlisation is available on one hoop and the bangle. As you check out please use the 'Notes' section to tell us your personalisation on bangle and hoop. 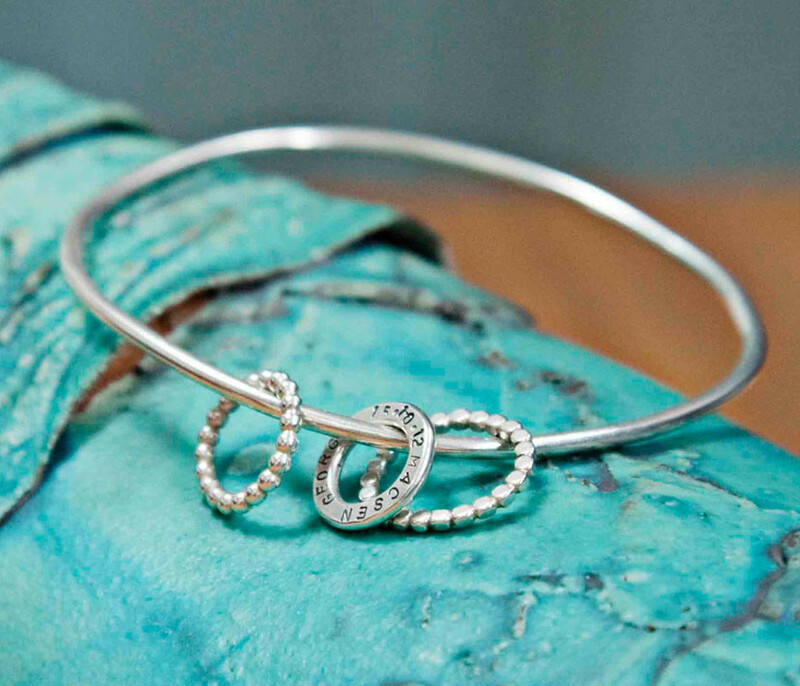 You can fit up to 20 words on to each side of the bangle and 20 characters on each side of the little hoop.